Tymbrel is a Smarter Website Management Platform for Agencies & Marketing Teams. Yes. There is a smarter way to run your agency. What can help grow your agency business faster? Spending less time fixing stuff and more time getting results for your clients. They'll be happy. You'll make more money in less time. Everyone all around will be smiling. Yes! Everything you need out of the box. No 3rd party plugins required. White-label ready. Automatically managed security and platform updates. We take care of it for you. Choose a Tymbrel Turn-Key Design, a template or your own custom HTML/CSS. Share business, clients and other synergies with like-minded agencies. Keep your team sharp with online training and free success webinars. Launch faster. No headaches. No surprises. Start smiling. Get started fast by selecting a ready-to-go Turn-Key website design, or bring your own. Tymbrel agencies get exclusive access to a library of beautiful, responsive Turn-Key website designs. Or, if you'd prefer to bring your own creative, integration is painless. Quickly take your projects from design to finished product with intuitive built-in Apps. From eCommerce and membership websites, to basic blogs, you'll never search for a 3rd party plugin again. Everything you need is built in to the Tymbrel Platform. An intuitive launch process takes you from development to live without having an IT pro on staff. Launch new websites painlessly – we’ll walk you through the process. And if you get stuck, remember: technical support is unlimited and free with your monthly subscription. Grow your business by focussing resources on profit-generating tasks, not platform maintenance. 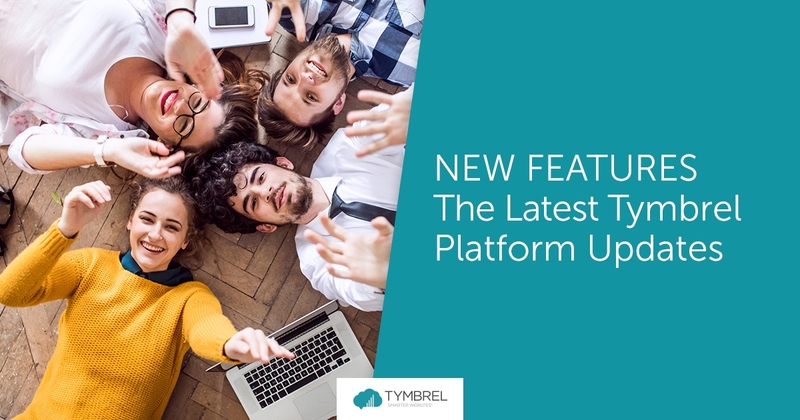 Tymbrel is a fully managed, cloud-based Platform with automatic updates. On average, most agency teams we hear from save 1-2 hours per website every month in system maintenance. "I tell everyone that finding Tymbrel has transformed the way my agency works." For our agency clients across North America, killer software is just the beginning. Tymbrel also provides the tools, resources and support you and your clients need to thrive. White-label option provides your clients with a branded experience. Unlimited technical support and training. Exclusive access to a library of beautiful website designs that you can resell. Proposal and quote templates you can customize for you business. Education and webinars to maximize your agency. It all adds up to a serious advantage over your competition. The Tymbrel blog is the place to learn and be inspired about growing your agency. Use the links below to explore the Tymbrel Blog.